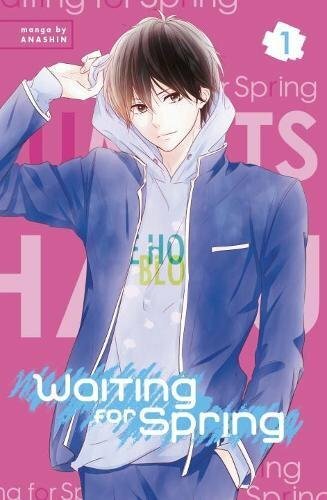 Hinana Hanazawa is a prim and proper honours student, but the one indulgence she allows herself is to dream of having a fairy-tale romance with a hot guy some day. Hinana’s banal life receives a bit of excitement after she is drafted into being an extra for a film production at her school, allowing her to dream a little more after it is revealed that Kaede Ayase, a famous and good-looking burgeoning celebrity, will be arriving on set. However, after an encounter with Kaede, Hinana is left figuring out how to cope with getting a chance at the type of fairy-tale she wants. 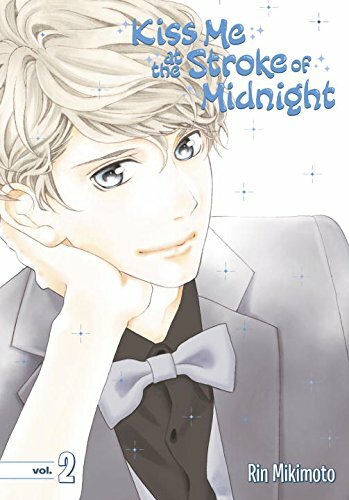 Kiss Me at the Stroke of Midnight isn’t shy about invoking Cindrella in setting up Hinana’s own little fairy-tale, but what makes this series stand out is the thoughtful way that it expands on the spectrum of emotions Hinana experiences in the beginning of a sweet tale. The initial set up is largely by the numbers in establishing Hinana as someone who has an inner vain side that she feels she can’t share with the world lest she change the image of a pure honours student she projects, but this is mixed in with some funny moments early on which bring a little bit of life to dichotomy. For example, Hinana’s facial expressions often shift radically to denote her feeling sneaky or her scoffing, and this helped to give her some character early on. Hinana’s first meeting with Kaede which really gets this series started sounds silly on paper, but I enjoyed the way that the series leans heavily into Hinana’s emotions with a sense of earnestness. The seriousness that the story takes itself with is important in creating a credible emotional connection between Hinana and Kaede early on, and I really liked that this was the main focus instead of turning this into another “Pretty-boy has a secret perverted side” story. For example, we see Hinana act relatively surprised at finding out that Kaede has a penchant for checking girls out, but it doesn’t become defining focus the way that they interact. Additionally, the events of their first meeting also do quite a bit to characterize Hinana as a caring yet conflicted person, and this paid off later in terms of giving her feelings that this volume takes the time to explore some important credibility. Put simply, Hinana is not a cardboard cutout of a character, making it easy to care about her emotional journey over course of this volume. The second part of this volume follows the aftermath of Hinana and Kaede’s fateful first meeting, and the way that Hinana’s feeling were portrayed in a realistic manner stood out to me as particularly impressive. I liked that we frequently saw her deliberating in a way that a person who had an unbelievable meeting with a celebrity might as she experiences the full range of emotions such as denial, disbelief, and hopeful skepticism. This is a Cinderella story, but quite happy our Cinderella actually takes some time to think through things in a way that gives the proceeding more depth than if she simply experienced them with little introspection. This plays out in a number of interesting situations as the two get closer, and I genuinely enjoyed Hinana’s struggle to make sense of it all. I’m quite interested to see where this story goes for these two. The art in Kiss Me at the Stroke of Midnight is quite strong, making use of a wider panels to get across Hinana’s expressions effectively in some of the more emotional moments. As noted above, this is complemented by her expression shifting into a simplified cartoony style during some of the funny bits, and this works relatively well throughout to make it clear when the story is trying to be serious or crack a joke. It also bears noting that this is the first shojo romance series I’ve read which is printed in large format (ie. similar to Viz’s Sig line or Yen Press’ Barakamon releases), and this really helped to accentuate the payoff moments which make use of the full page. I hope this becomes more common-place going forward because it made for a more impressive reading experience for me in making the art have just a little extra impact during certain emotional scenes. 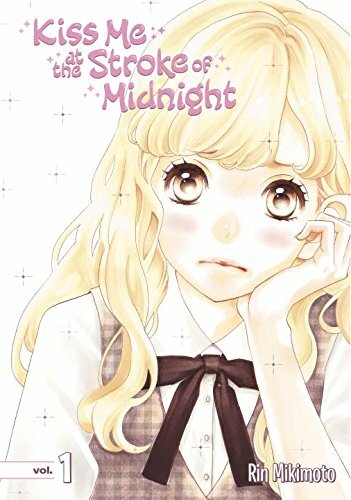 Kiss Me at the Stroke of Midnight will be sure to please anyone who has allowed themselves to dream about a celebrity-crush, and to this end this manga spins a warm and thoughtful tale about one girl’s story of coping with those dreams coming true. There’s a significant amount of care put into making this a funny tale which concerns itself with showing Hinana’s full emotional experience even in the early going, and this helped to set this series apart from other series in my mind. Kiss Me at the Stroke of Midnight Vol. 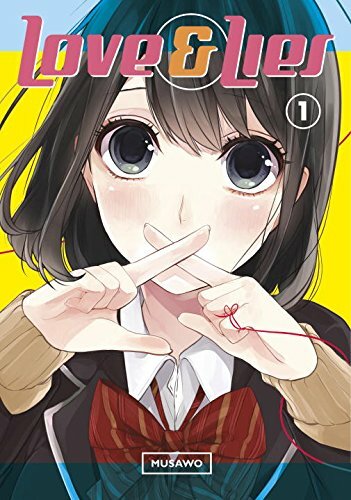 1 was translated by Melissa Goldberg and published by Kodansha Comics USA on September 19th, 2017. Created by Rin Mikimoto, the series runs in Kodansha’s Bessatsu Friend magazine.